When we reflect on a disappointing incident in life it is easy to identify its spiritual, psychological, and emotional importance. Our response reflects our relationship with Christ. Our frustrations fade when we put our trust in Him- even when the results are NOT what we truly wish. Identifying an unrealistic expectation is a step towards spiritual, psychological and emotional maturity. Moving through the pain and towards an understanding of God’s dominance in our life will increase our faith and lessen life’s stress. A perfect example from scripture is from Luke 8:41-56. In this passage we learn about two people dealing with horrible life challenges. The first, Jairus, a ruler of a synagogue, is dealing with an illness that is threatening the life of his daughter. He has no where else to turn. He doesn’t know what to do. He manages through the crowd to get to Christ, falls at the Lord’s feet and begs Him to come to his home to heal her. In the meantime, a woman with an issue fights her way through the mass of people to find relief from Christ. St. Luke explains that she spent all her “living on physicians and they could not heal her.” Disappointed by conventional solutions both are distraught and overwhelmed by their tragic circumstances. Notice, though, that finally, after enduring disappointments, they both realize that their hope and relief will come from God. Although the woman is immediately healed, the ruler’s daughter is pronounced dead. St. Luke explains, “a man from the ruler's house came and said, ‘Your daughter is dead; do not trouble the Teacher anymore.’” What comes next, from the mouth our Lord, is the cure for disappointment! Christ says, “"Do not fear; only believe.” Jesus enters the room; the girl’s spirit is returned, and her amazed parents rejoice. I learn a lot of interesting things at committee meetings. At one meeting, when discussing the newsletter of our parish, The Myrrh-Bearer, someone frankly said, “Nobody reads that.” That person is either right or wrong depending on how much further you go into this message. At our most recent Parish Council meeting, a parish council member, politely, combined the conversation about healthy church finances with the status of our relationship with Christ. It wasn’t me, I wasn’t preaching, it was one of YOUR ELECTED OFFICERS, that was sharing this thought. I was mesmerized by his conviction; I looked around at the other members and they were too! The Holy Spirit was present. His inspiration moved us to take the conversation about Parish financial health to a new level. It was refreshing to hear a leader of our community express these thoughts. I have offered them in the past, but it is cliché for the priest to say it, because I’m supposed to. A group begins to reexamine the metric for success when a respected member of the Parish Council looks intently at his peers and says, “Are you concerned for your salvation?” If we look at our challenges through the lens of salvation, that is, how what we do will enhance our relationship with Christ, a new perspective is born. Following this new measurement brings with it a greater purpose. Applying “concern for our salvation” on every ministry, program, event, and meeting at St. Demetrios declares us Christ-Centered people. The Sacraments of our Orthodox Faith: Baptism, Chrismation, Holy Communion, Holy Unction, Confession, Marriage and Ordination, lead us towards a strengthened connection with Christ. A Sacramental view of our Parish affairs, likewise will lead us towards a strengthened connection with Christ. Everything we do is to be considered sacramental. During this coming year, we will have plenty of opportunities to GLORIFY CHRIST. Let us then GLORIFY Him through all that we do. Then, in the end, all that participate feel His presence and are motivated to carry that inspiration. Slowly we change our local perspective, eventually changing the world. After all, I guess not everyone reads everything. In 2008 we were at Skyway Drive dreaming of a new building, today we are experiencing that dream come true. 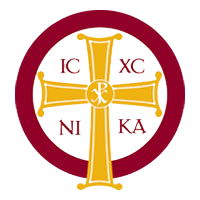 We have shared a lot of visions and goals in the last decade here at St. Demetrios. We sat in the valley of doubt and stared up at the mountain top of success often. Sitting there, some would whisper, “It’s not gonna happen.” We took on debt to purchase land then paid off that debt. We started fundraising campaigns, we asked for pledges and they came in. We all participated in giving towards the need of our collective DREAM and we did it! Success never happens if you sit in the valley merely hoping to be at the mountain top. Success only comes before work in the dictionary! It’s time to get back to work. The configuration of our community looks much different than it did a decade ago. The pews on Sunday mornings are filled with many new faces. Some may not have had the opportunity to experience the pressures imposed by the undertaking of those dreamers. “Build it and they will come,” we recited meeting after meeting. Now here we are, together as one community, enjoying the benefits of a shared dream that started over 40 years ago. In the last several years we have made great progressions, but the need is the same now, as it was then, if not greater. Today we sit in the valley of a $1.9 million loan. We have 8 years to eliminate that debt. A new Capital Campaign is beginning. 100% participation is needed from every family and parishioner at St. Demetrios. In the last 13 years the Golf Tournament has grown from a $3,000.00 annual event to an $82,000.00 annual event. The Golf Tournament has quietly grown into a year-round event in terms of planning, execution and most importantly sponsorship. Today the Capital Campaign and the Golf Tournament merge to encourage us to achieve the mountain top of success. The Capital Campaign is driven by the concept of generous Gift Givers. These can come in all sizes and many forms, from $1000 to $1 million/per year. We have 8 years to retire $1.9 million, so it is time to get creative as we look to our Stewards and others in the surrounding community to support such a large need. The Golf Tournament and the Capital Campaign is CoChaired by Joe and Mary Freeth, George Joannou and Fr. Gary Kyriacou. If you would like to assume the role of a FINANCIAL ANGEL and be a “cheerful giver,” please contact Fr. Gary at 805 443-3376, Mary Freeth at 805-390-9551, Joe Freeth at 805-390-9553 or George Joannou at 805-231-8696 Together, each committing to give what we can, we can eliminate the loan and continue to enjoy the rich blessings our Lord has bestowed upon us. Please take some time and prayerfully consider your contribution today. 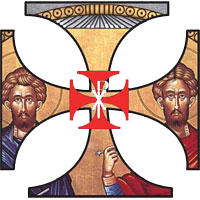 With all the tragic events happening in our world today: hurricanes earthquakes and shootings, it is comforting to know that our Orthodox Christian Church plays an active role in the recovery efforts. 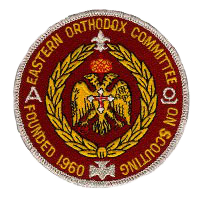 As a frontliner for the IOCC (International Orthodox Christian Charities) I can be deployed for any number of catastrophes to offer emotional and spiritual care (ESC). Following our deployment we are to submit a report to identify some of the work we encountered. The following is part of my incident report. The names have been changed to protect identities. She took guardianship of a (total) stranger’s children (3 kids ages 7 and younger), while this stranger went into labor to deliver her fourth child. ● Sheriff Deputies were really shaken at the loss of one their officers, Steve Perez. Officer Perez was a longtime veteran of the HPD. On Sunday, the day of the storm it was his day off, but against the wishes of his wife, he went to offer assistance. His vehicle hit a floodedroad and was washed away and drowned. “That’s the kind of guy he was,” cried Fitzgerald. ● As Fr. Jordon and I were vesting, Fr. Luke sent the Acolyte staff and Sexton to introduce themselves. As Fr. Jordon asked the Sexton, “How are you and your home?” Joe, the sexton, said, “I am blessed, no damage. My sister and my brother in law were rescued from their home and are staying with me. My brother in law is recovering from cancer treatments.” This caught my ear and I asked, “What is your brother in law’s name?” He said, “Saad.” “Saad is my father in law’s cousin.” Emotional embrace! “6 million people in Houston,” cried Joe, “and this is how we meet.” I received the blessing from Fr. Luke to visit my relatives. Their home was flooded and as Saad was to weak from his battle with cancer, had difficulty evacuating. A group of volunteers pulled near their home on a boat and rescued them from the flood waters. The water reached the second level of their home. I was honored to spend my time in Houston helping those that were affected by Hurricane Harvey. IOCC is celebrating 25 years this year and we have been asked that our youth make posters. On Sunday October 29th, we would like to have the youth of your parishes make posters (use your creativity) saying THANK YOU to IOCC, with the children writing something and signing their names. Perhaps even have an offering tray or host the coffee hour that Sunday to raise funds for IOCC, and maybe even have a young person say something about the work IOCC does. These posters and any other efforts made will be presented at the Anniversary Gala, which will be held Sat. Nov. 11th at St. Steven’s Serbian Orthodox Cathedral in Alhambra. We will even come and pick up the posters and any funds raised ourselves to make this even easier for you. A great benefit of spending time at summer camp is the opportunity to disconnect from technology. Not having a phone or internet connection gets you excited to receive mail. A great joy is receiving a (good old fashioned) letter from home. The delight in holding an envelope with the familiar handwriting of a loved one is a highlight for all the staff, counselors and campers. Everyone gets electrified when they get mail (real, handwritten, stamped envelope mail). One afternoon at St. Sophia Camp, the Director handed me a small envelope sent to me from Christie. I took it, looked at it and put it in my pocket. “You gonna read it?” He asked. I nodded, smiled and walked to the chapel to prepare for evening vespers. I placed it on the altar and put my vestments on for the service. Vespers ended and the kids were excited to go up the hill to mail call, anticipating their own letters and packages. Prior to their leaving the chapel I shared with them the unopened envelope from my wife. I asked, “What if I just set this letter from my wife on my night stand and never opened or read it?” The responses were touching and hilarious. One little guy said, “I think you should read it, it will make you happy!” Another jokingly said, “You might end up sleeping on the couch if you don’t.” An older teen girl said, “That’s just coldhearted, what if she wants you to do something, if you don’t read it you’ll never know.” Great answers. The entire camp agreed that I should open and read the letter. “This is a letter,” I said. “A letter from God.” They understood the message; however, I went on to explain. We let our Bibles sit on our night stands or our bookshelves, scarcely to be opened. If we treat messages from our Earthly loved ones with such care and excitement, we should treat the message from our Heavenly Father with the same enthusiasm. It will “make us happy,” contains instructions, and is “coldhearted” if we ignore it. I once received an email that illustrated the differences in which we treat our cell phone versus our Bible (see page 4). Let’s readjust our priorities. Let’s make reading and studying Holy Scripture a significant part of our day. We should take a few moments, at least once a day, to receive inspiration from the Word of God. Let’s dive into the well! Let’s make the institution of God’s Holy Word an important part of our daily routine. Don’t let that loving letter just sit on your nightstand, open it, read it and be inspired by the wonderful message contained within it. Many Evangelical Christians can name the date in which they were “Born Again.” The day in which they made Christ a priority in their life. Many of us, as Orthodox Christians, make that commitment on the day of our Baptism and Christmation, as infants. Are we transformed by the love of Christ? Do we allow ourselves to be transformed by Christ? There is a common theme in the Sunday Gospel readings following Pascha (Easter). Each of these five Sunday Gospels after Pascha distinguish a person (or persons) transformed by Christ. The Sunday following Pascha we hear of “Doubting” Thomas. Thomas is skeptical about the encounter his brother disciples have with the risen Lord and make a bold proclamation, “Unless I see and touch!” The Lord reveals himself to Thomas and Thomas is immediately transformed. Without having to touch, he exclaims, “My Lord and my God!” Thomas encounter’s Christ and his faith is renewed. The second Sunday after Pascha, we learn of the Myrrh-Bearing Women. These brave women approach the tomb of Christ and find it empty. Having encountered Christ, they return and share the good news with the disciples. Then on the third Sunday after our Lord’s Resurrection the Church shares the story of the paralytic. Although this happens before the Lord’s crucifixion, it holds fast to the theme of “Encountering Christ.” The man has suffered with an infirmity for 38 years- a full generation! When he meets Christ, our Lord transforms him and makes him complete. No longer does the bed confine him, but with Christ’s help, he can lift the bed and glorify Christ! Subsequently, these encounters lead to the reception of the Holy Spirit, the Sunday of Pentecost. The gift of the Holy Spirit descends on the Disciples as fiery flames. The Disciples are transformed, the fisherman become Fishers of men! All that meet Christ leave differently than they approached. Thomas, the Myrrh-Bearers, the Paralytic, the Samaritan Woman, the Blind man, all lead changed lives after encountering Christ. To encounter Christ we must worship regularly, privately in our daily lives and corporately at Church. In each of the Sunday liturgies following Pascha we sing, “In our Churches we Glorify Christ!” To encounter Christ we must find him in our service to those less fortunate than ourselves, in our giving and aid. To encounter Christ we must offer forgiveness, and have a change of heart. To encounter Christ, we must imitate Him! Yes, we Orthodox Christians are “Born Again,” EVERYDAY! Our lives are to be filled with encounters with Christ. By allowing Him into our lives again, into our hearts, our lives will never be the same. Ecclesiastes is one of my favorite books of the Bible. We find classic lines like, “To everything there is a season,” or “Vanity of vanities, all is vanity!” Taken as a whole, the Book of Ecclesiastes is full of wonderful wisdom. During my time at the seminary, a beloved priest professor would encourage us to read the entire book from beginning to end whenever we felt overwhelmed with the pressures of life. This tool served me well as a student, and has become a valuable tool in my ministry to Christ’s Church. A Priest witnesses all the emotions of life. You rejoice at the birth of a child and you mourn with the passing of a loved one. Ecclesiastes verbalizes this sentiment well. In the past three weeks, I have participated in four funerals. Four beloved individuals left this world in the hope of the resurrection. Two funerals were for 30 something year old’s and two funerals were for 80 something year old’s, yet their loved ones shed the equal number of tears at each of the funerals. All four individuals left behind the same thing, a lasting memory of the relationships developed. Their grieving loved ones mourn their physical losses. In late February, we lost Kevin, a 33 year old loving husband, father of two, son and good friend. Kevin battled stage 4 oral cancer for 16 months before leaving this life. During his last days, as he prepared to die, he taught those around him how to live! His love for baseball inspired a road trip, with his father, to San Francisco to see his beloved Giants play, and the holidays gave him the opportunity to express his love for his family and friends as they showered him with their loving sentiments. I stood, in rapt amazement, watching his beautiful young wife, with her their two year old child in her arms, sharing cherished memories. She made us laugh and she made us cry, but she reminded us that our hope as Christians is in our Lord’s Resurrection. In early March, an alarming phone call described Patti’s condition. An otherwise healthy 36 year old had an aneurism and was on life support. Her loving family and friends at her bedside, praying for what looked like a sleeping angel to wake and sit up in her bed. Two days later, after her parish priest, family and friends recited the Lord’s prayer over her Patti’s spirit left her body to enter the next life. A sudden passing. Much more abrupt than Kevin’s departure, yet just as tragic. Her mother and father, brother and soon to be sister-in-law expressed confidence in their understanding of God’s hope. Their courage stems from a lifetime of faith and participation in the Church, which leads them to assurance of the resurrection. In that same week, we lost Christo Pulos. A blessed man that leaves behind a legacy that will persistently rival imitation. He loved his family, his church, his friends with deep devotion and care. Each of his tasks were completed with meaningful detail. His presence at St. Demetrios will always be marked by his imprints on our hearts. He passed this life two days after his 85th birthday, and yet the mourning reigned; sadness as we endure another loss. Nick Varnava gave a loving testimony to Chris’ service to our Church and the Air Force provided an eloquent expression of his service to our country. Four funeral in three weeks left me craving an opportunity to dive into Ecclesiastes. Before Tom’s graveside service I walked the grounds of the cemetery taking in the names marked on the headstones. I thought about Kevin, Patti, Christo and Tom. I thought about the loved ones I watched cry as they grieved their loss. I thought about the words that were spoken, separately, about each one of them. The theme of Christ’s resurrection echoed through my mind. Other portions of Ecclesiastes resonated. “A good name is better than good olive oil, and the day of one’s death than the day of one’s birth.” (Ecc. 7:1) A name on a marker is what we leave behind if we live foolishly, but to those that believe in Christ and have the hope of His resurrection, that marker becomes a stepping stone to eternal joy. This is the time of year we celebrate our Lord’s resurrection. Sometimes we take for granted the Paschal responses. Lethargically saying, “Christ is Risen,” to which we receive a tired, “Truly He is risen.” Considering the events of the last three weeks, it is imperative to express our conviction in His Resurrection! Those closest to Kevin, Patti, Christo and Tom, expressed their desire to be reunited in the next life. Belief and hope come from our faith in Christ. Holy Week shows us the love God has for us. He, willingly, climbed up on to the cross, died a violent death, to reassure us that He wants us to be with Him in the next life. All the sorrow in the world has no power over that expression of love. Death no longer restricts us from God’s heavenly embrace. As we fervently chant, “CHRIST IS RISEN,” we lovingly testify and memorialize the legacy of those that have passed before us. “Truly, He is risen” for this is the reason we celebrate!